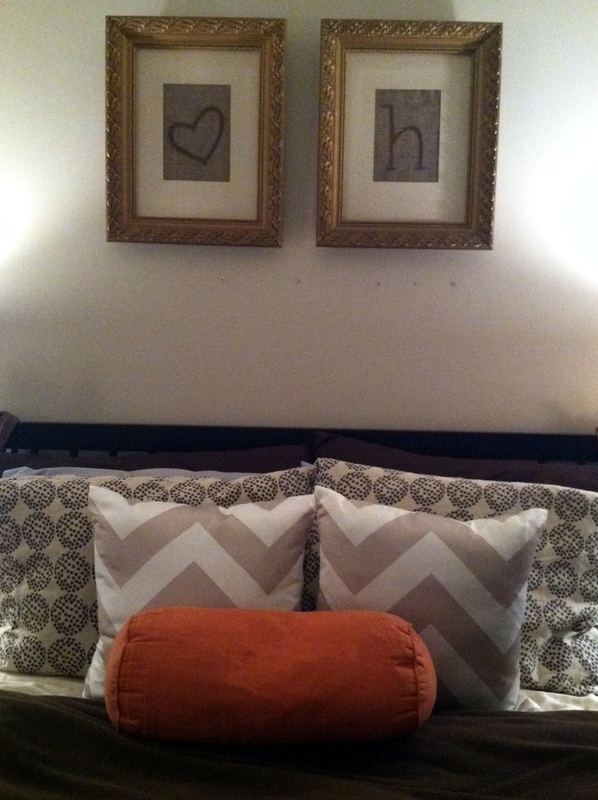 I love my new champagne chevron pillows and couldn’t part with my orange one. I think they play nice together though. Artwork above the bed is DIY 🙂 loves! I really wish this picture had come out better. 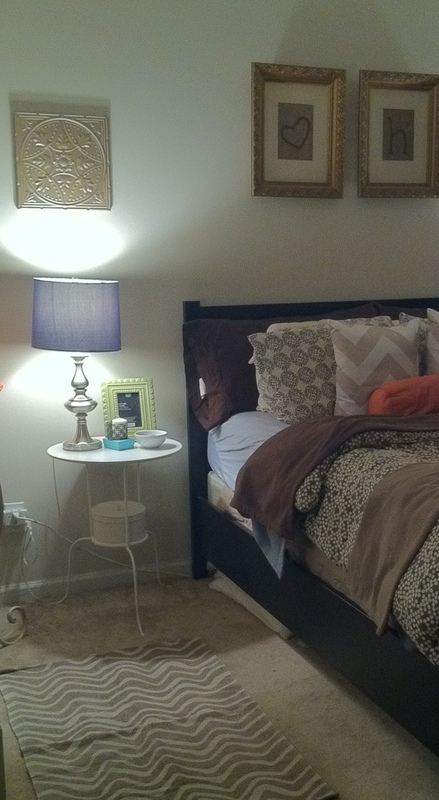 The new arrangement of the dressers, new side table and rug make the space look very “adult.” But you can’t tell in this pic…. sad! 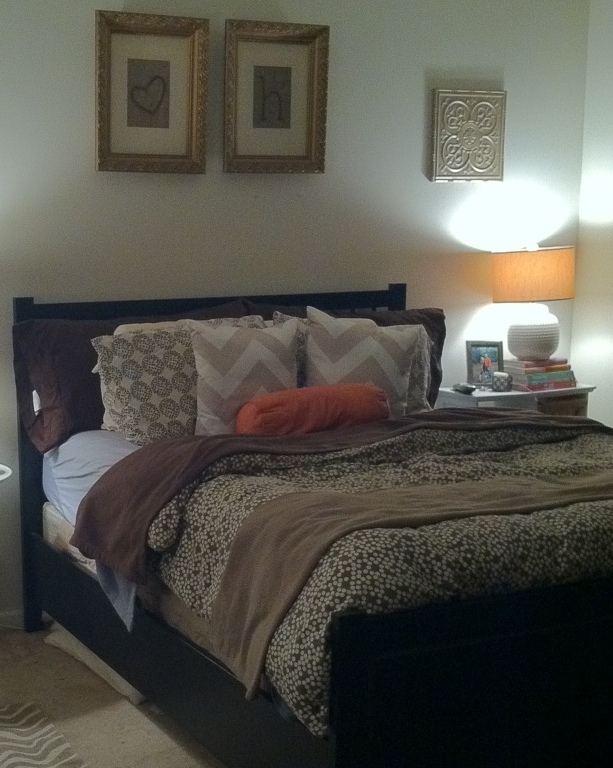 More little peeks of the place coming soon. But you should really come over and see it for yourself!